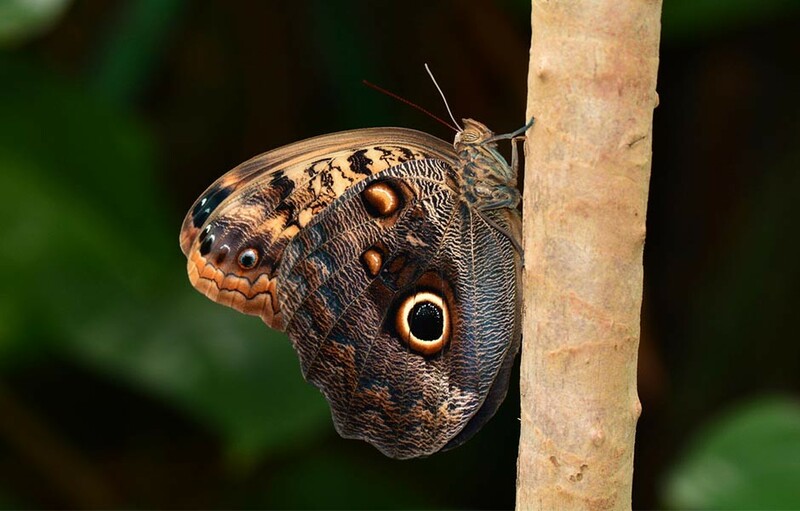 Another favourite, the owl butterflies always have their eye on you. Found in the Amazon Rainforest, the owl’s large eye scares off would be predators. Their favourite food is juicy orange and nectar.